Rian and Lorna began their working career together in Southern Africa where Rian was Zone Warden, first in Kalahari Gemsbok NP and then in Kruger NP. They then moved to Malawi as the Project Development Officer to the Liwonde Wildlife Project. During this time, Rian was responsible for the fencing of the park, reintroduction of black rhino to the park and setting up a rhino protection and monitoring unit, as well as providing technical assistance in anti-poaching and park management. They then moved up to Ngorogoro Crater to join Frankfurt Zoological Society as their Chief Technical Advisor on the Ngorogoro & Serengeti Rhino Projects. Here they implemented an entire new anti-poaching and monitoring systems in both areas – which halted poaching within a year, including mobile foot patrols in the rhino zones, observation posts, translocation of two rhinos from RSA to Ngorogoro, transmitter implants in all rhino in Moru Kopjes, and set up a rhino capture capability for northern Tanzania. Rian and Lorna then spent three years consulting on various projects (while they installed their children in school in RSA), before moving to Grumeti Game Reserve, Tanzania, where Rian was the Managing Director for six years, and Lorna head of Monitoring. 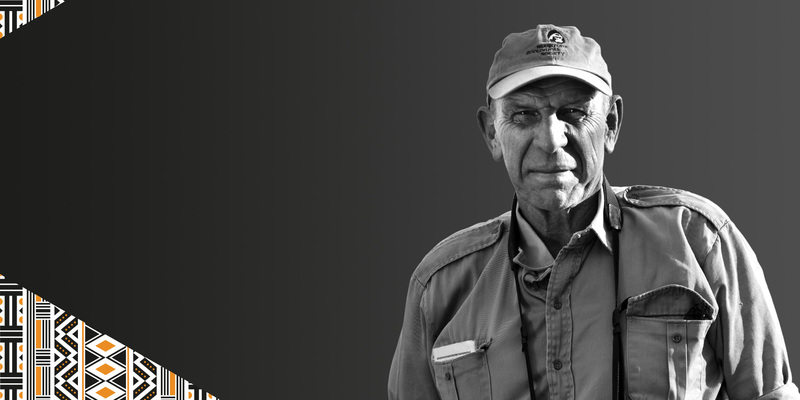 Rian supervised the design and construction of three five star camps, recruited and employed all management staff, oversaw the infrastructure development of the entire reserve (equipment, roads, anti-poaching systems, monitoring systems), responsible for the successful reintroduction of black rhino from RSA. 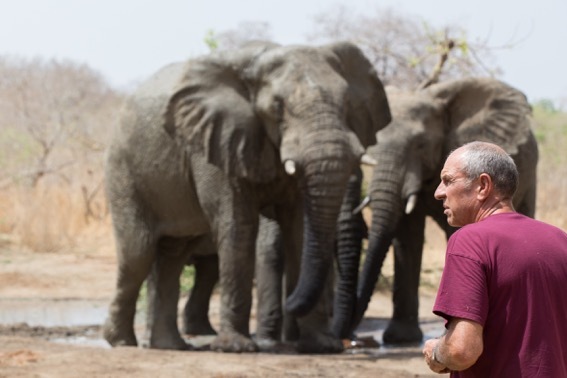 Following two years as Director of New Projects in Africa for the same philanthropist, they then moved on to join African Parks and Rian was employed as park manager for Zakouma National Park, Chad. Here they spearheaded one of the most significant conservation success stories in the past five years – the turnaround of a 450-strong elephant population that had ceased to breed due to poaching stress. Rian is currently Project Leader: FZS Serengeti Conservation Project, where he hopes to ensure that enough secure space and transit corridors are available for elephant and wildlife to exist within an increasing human population. If you’ve been inspired by Rian’s story, learn about another finalist, or let others know about the Tusk Awards.